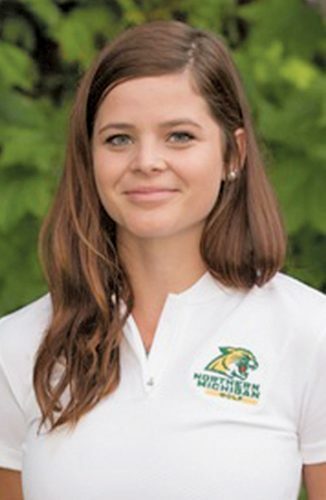 ALLENDALE — The stars weren’t exactly lining up in favor of the Northern Michigan University women’s basketball team in the GLIAC Tournament semifinals on Saturday. The Wildcats were faced with playing finals host, tourney No. 1 seed and nationally ranked Grand Valley State. NMU surely got the Lakers’ attention as the one team that put a blemish on GVSU’s 19-1 GLIAC regular-season record. Then the game began and left behind the Wildcats’ offense. Quite literally. 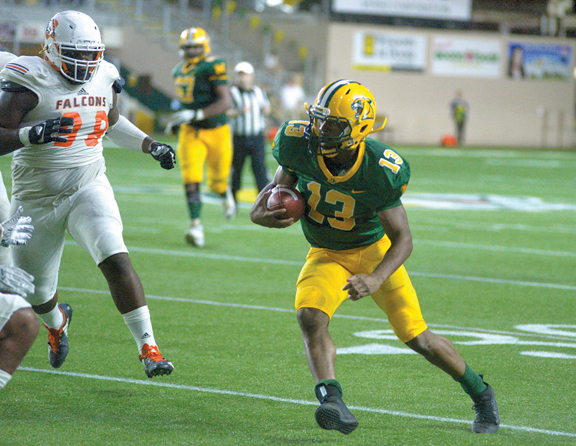 NMU was shut out in the first quarter, falling behind 11-0. 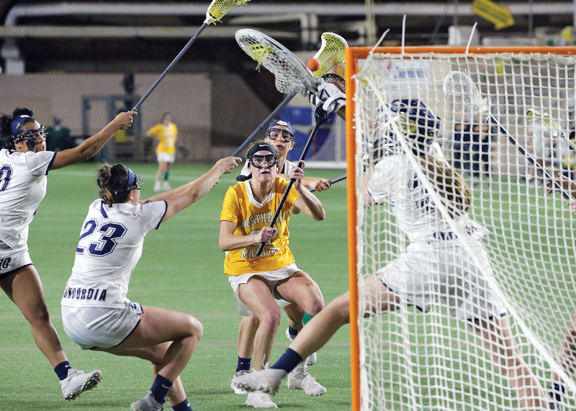 But the Wildcats began a comeback, whittling their deficit to two points by the end of the third quarter, then ending the game on an emphatic note with a 15-4 scoring edge in the fourth quarter to take a 47-38 win. NMU (22-8) advances to the tourney championship game at 3 p.m. today back at the GVSU campus to face nationally ranked No. 6 Ashland, the No. 2 seed in the tourney, with an automatic bid to the NCAA Division II tournament on the line. Ashland defeated No. 3 seed Michigan Tech 77-61 in Saturday’s other semifinal. Northern’s 22 wins matches the most under the guidance of head coach Troy Mattson, who won his 200th game at NMU less than a month ago. Junior Jessica Schultz led the Wildcats with 17 points and 10 rebounds, while sophomore Elizabeth Lutz added seven points. Senior teammates Darby Youngstrom and Tess Weatherly along with sophomore and Marquette Senior High School product Amber Huebner added six points. Youngstrom also pulled down seven rebounds. Senior Syndey Dillinger scored all five of her points in the deciding fourth quarter. 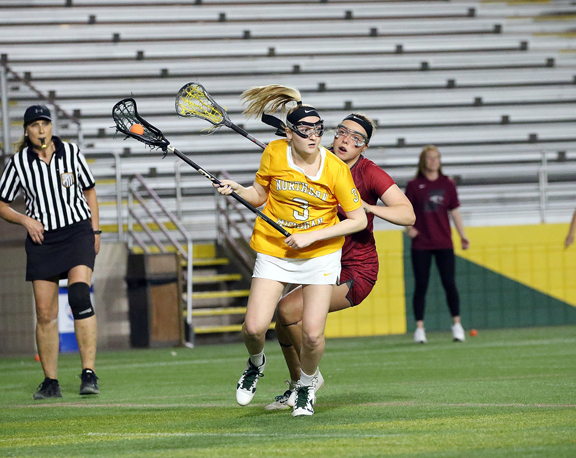 Cassidy Boensch paced the Lakers, ranked No. 7 in the country, with 18 points and 10 rebounds. Northern committed just one turnover in the second half and shot 45 percent on 3-pointers after halftime. NMU began digging out of its early hole quickly in the second quarter, getting to within 11-9 in the first 4 1/2 minutes on three baskets by Schultz — one a triple — and another bucket by Huebner. Trailing 20-15 at halftime, the Wildcats needed less than 2 1/2 minutes to start the third quarter to pull even, 20-20, on a Youngstrom layup and Weatherly triple. The teams seesawed with one-possession leads the rest of the quarter, Grand Valley leading 34-32 heading into the fourth. Lutz put her Wildcats ahead for good, 37-34, by making a 3-pointer with 7:07 left, while Dillinger hit her own triple to make it 40-34 about 2 1/2 minutes later. While the Lakers got back within two, they never retied the score or took the lead again.